LAS VEGAS--(BUSINESS WIRE)--CONSUMER ELECTRONICS SHOW -- Today, Ujet unveiled its first product, the Ujet electric scooter, which is set to redefine urban mobility - putting ease, joy and practicality back into getting around. Designed from the ground up, the stylish scooter combines smart connectivity and high performance materials typically found in the aerospace sector with clean technology and refined design - making it the most advanced in its class. City populations around the world are growing exponentially as new residents relocate to be a part of the urban experience - in 2016, an estimated 55 percent of the world’s population lived in urban settlements - a figure which is set to hit 60 percent by 2030.. With this rapid growth, city residents are facing challenges that reduce their comfort of life. More traffic not only increases the difficulty of navigating through city streets, but also rapidly increases greenhouse gas emissions, air and noise pollution. Existing urban mobility solutions can’t keep up with the growth of our cities, and are not addressing increased congestion and pollution. 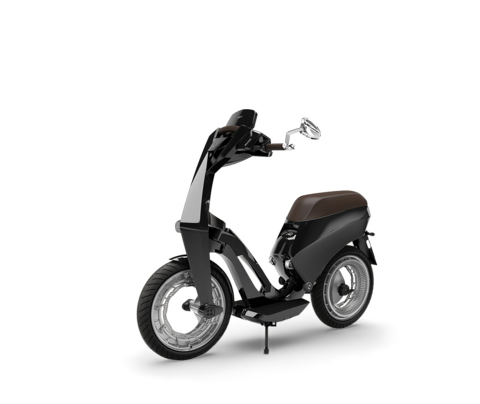 The Ujet electric scooter will be on display, along with a virtually guided tour of the scooter and its features, in the Ujet booth in the Smart Cities section (Tech East, Westgate 2018) at the Consumer Electronics Show (CES) Unveiled 2018 event, taking place Sunday, Jan. 7, 2018 from 5-8:30 p.m. PT in the Shorelines Exhibit Hall in Mandalay Bay, as well as throughout the duration of the CES conference. About Ujet: Ujet Group is a new age transformational company that sits on the exciting intersection of high-tech, advanced materials, connectivity, and sustainable thinking. Founded in 2015, Ujet Group is offering a new generation of urban mobility solutions that empowers the urban communities to create more sustainable cities through the use of smart technologies. With a design center in Germany and state of the art assembly plant in Luxembourg, Ujet Group employs more than 50 professionals from diverse backgrounds that match the company's vision of being a hi-tech platform and incubator providing game changing solutions and services to the evolving and engaged city dwellers today and tomorrow. Solutions like the Ujet e-scooter will embody freedom, access, opportunity and recapture the joys of city life. “The World’s Cities in 2016 – Data Booklet (ST/ESA/ SER.A/392),” United Nations, Department of Economic and Social Affairs, Population Division (2016).